Easy to understand Project Managers to get you through the process. In this digital age, your website is the face of your company. Everyone is going to visit your website before purchasing your product or services to conduct their own research and get to know your company better. Before they see your store/office or talk to someone on your staff, your website is likely to be the first thing they’ll see. Being the first point-of-contact, that initial impression is extremely important. People will make their decisions based on the experience (appearance, usability, and accessibility) they get out of navigating through your web page. Without quality web design and content, customers will not take the time to learn more about your company and your business will lose potential customers. If it takes more than 3 seconds to load, 40% of users will leave a website (Kissmetrics). If a website isn’t functioning properly on mobile, 48% of users will think that the business does not care (Google Survey). After designing a web page that was made specifically for mobile browsers, 62% of companies reported increased sales (Econsultancy). 65% of people who shop online agreed that they would not trust a company’s website if it did not have a professional look (eMarketer). It only takes a few seconds for a potential customer to decide if they like your website (WDStadards). 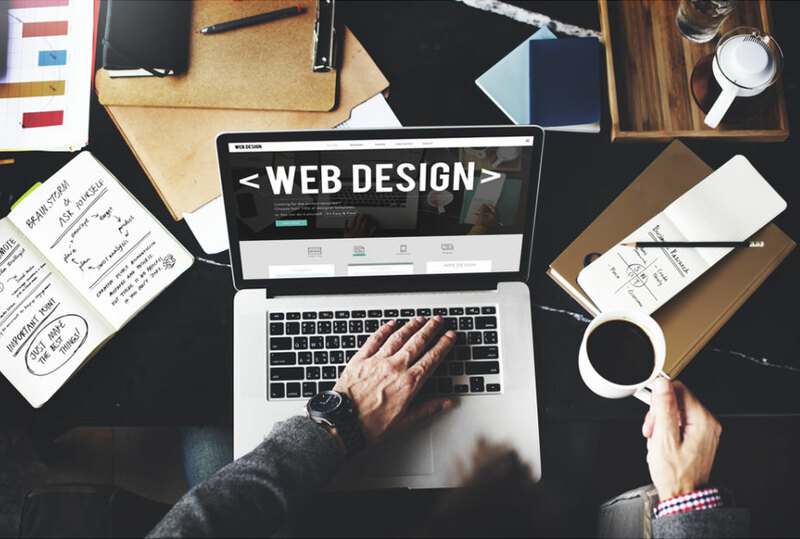 We recognize that every business is different, we will work with you to make sure that your website represents your company in its true and best way. Other marketing companies do not take a personalized approach like we do. They will ask for the industry you’re in and give you a cookie cutter idea. We take the time to get to know you and your brand to give it the individualized look and feel your brand/business deserves. Not only do we design websites for desktop browsers, we also design websites for an optimized experience on your mobile browser which is crucial because there have been more Google searches on smartphones than desktop computers for over a year now (Hubspot). The website design, graphics, and code is a work for hire project and you own 100% of the copyrights. Website Backup System – we will install a website database backup plugin so that your website is always safe. If you run a smaller business and don’t need such an extensive website, we offer a scaled-down version that would still suit all of your needs while being friendlier to your budget. We will build a complete custom website for your business that will suit all of you wants and needs. Up to 20 pages of content including a home page, contact, about, services,and other pages specific to your business and industry. Website is built on WordPress to allow us to easily edit content, add pages, add pages and videos, and allow a high level of configurability and customization. The website’s design and layout will be professional, clean, and modern while integrating your current branding that is also mobile-friendly. There will be a large slider (image changer) on the front page. Call-to-actions and marketing funnels on the home page to encourage visitors to reach out to your business. A photo gallery showcasing your past sales or current inventory, depending on the industry you work in. This will build trust and appeal amongst website visitors. Quality stock photos to add visual interest to the homepage and inner pages Social media integration: social sites such as Facebook, Twitter, LinkedIn, etc. will be integrated on your site for easy access and interaction. A custom contact form to make it quick and easy for visitors to get in touch with you. An interactive Google map on the contact page so visitors can easily see where you are located. Built using standards based xHTML, PHP and CSS code. We will setup Google Analytics installation to track website traffic, pageviews, length of time on site, etc. so we can keep track and monitor the website’s performance. Basic Search Engine Optimization (Including meta datas, page titles, focus keywords, search engine submissions) so your site will be made Search Engine Friendly so search engines such as Google, Bing, and Yahoo have the ability to rank it well. For an optional extra one time fee of $500, we offer Content Creation in which we write optimized keyword rich content with a minimum of 500 words per page (Available for either package). Take a look at the websites we have made for our clients by clicking here. This step will be the most in depth. We need to know what makes your company great and then convey that to returning and potential clients. This will give you an idea of what the site will look like. Now, we review your site with you and make the necessary changes. Structure, format, and design features will be addressed here. All corrections to the site are made. At this point the site should look as professional as you are. We strive to make your site perfect for your individual needs. Converted is our way of saying “the site has started” We will turn your dream into a reality. We aim to make the site match the look you envisioned. Now that the site is operational we can start adding content. Pictures, articles and interactive materials will make the site even more uniquely you. We can get your favorite selling tools directly on your site. Once everything is added we will confirm with you that this is the website that best represents your business. Here is the final time to make changes to your new site. The time is here! The site is live! Show all your friends the fruits of your labor. This site will be the best representation of your business aside from you and your employees. Now that the sites up we will show you how to make minor changes, add new information, and change content regarding your business. If there is a change that requires more, our team is ready to help!